CT c-spine: ED preliminary interpretation: no evidence of acute traumatic bony injury. 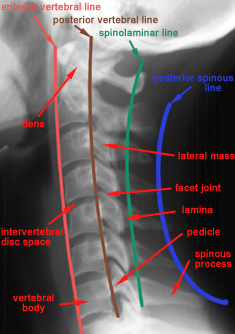 Alignment: alignment/smooth in anterior vertebral line, anterior spinal line, posterior spinal line. Bones: preservation of height and integrity of bony cortex of vertebral bodies, facets, spinous processes. Cartilage disk spaces: no narrowing/widening of spaces. Dens: integrity of bony cortex of dens. Extra-Axial Soft Tissue: predental space narrow. (Radiology formal read pending. Institutional protocol in place which will alert current care team/patient for over-reads/changes/critical reads). 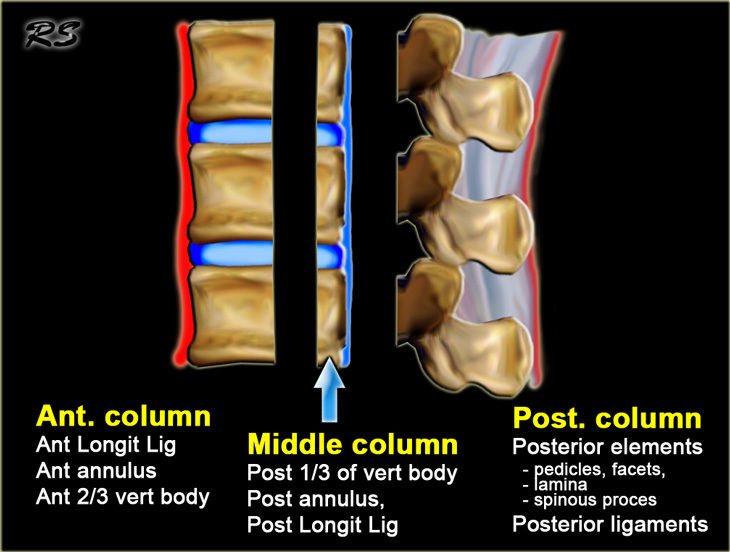 Stablity (“Generally speaking one of the two columns (anterior and posterior) is intact, the injury is stable, if both columns are disrupted the entries unstable.